Choose a page you want to edit from the side menu in the admin panel. This will then show a fully editable view of your website page. Add/remove images, write new copy, add widgets, add a header. It really is that easy. But should you ever have a question or query, just give us a call, we'll talk you through it. Check out our web packages to see which include CMS as standard or we can always create a custom solution just for you. Have you seen our dental shop? Want to rank No.1 on Google? Everybody does. So it's very unlikely to happen overnight, but we can help you start to rank well naturally as part of an SEO review, we can recommend alterations, best practice updates and upgrades. We also offer services to help Google recognise your business, location and review you. This all helps with SEO and we can help you get where you need to be. PPC (Pay per click) is, in it's most simplest form, a very direct and efficient way of getting instant traffic to your website. You'll have the ability to accurately control your budget, target your audience and measure performance. However, unless you've carried out the necessary research or correctly set up and implemented your campaign; you can easily find yourself wasting money. If you haven't already got a domain for your business, you need to be thinking about it now. Without even realising it you could be missing out on new clients simply because they can’t find you online. Without doubt, any modern day business that wants to have a strong online presence and appear credible has to start with a custom domain name. Let us secure the right one for you today. Sometimes the little things can go a long way, and that’s no truer than when it comes to having your own personalised email address. Not only does it look professional, but also gives creditability to your communication and help establish a sense of trust with your clients. Regardless of whether or not you've got a domain, we can set up email addresses for you and all your team. Have you got any images that are not as good as you'd like? If so, you'll be pleased to know the weknow | dental team have developed several advanced techniques and software applications over the years that allow us to take your images and greatly improve their overall quality. Better yet, we can even use our own creative flare to help breath new life into your photographs. Please get in touch to see examples of our work. Designing a new brochure? Planning an email campaign? Working on a press release? Every word you put along side your company's name will, in one way or another, shape the opinion people have of you. Let us help you produce copy that seduces, informs, persuades and turns complexity into simplicity. Is social media important to your business or brand? Our real-time embedded widgets ensure your website is socially connected. Our feature-rich Blog can add that local, personal touch and help drive increased visitor traffic to your up-to-date website. Contact us to find out more about our services and how we can help you. Whether you are setting up a new company from scratch or if you just fancy something different; your branding and logo is often the best place to start. We can re-vamp or re-create your logo design. Often evolution, not revolution, is required. 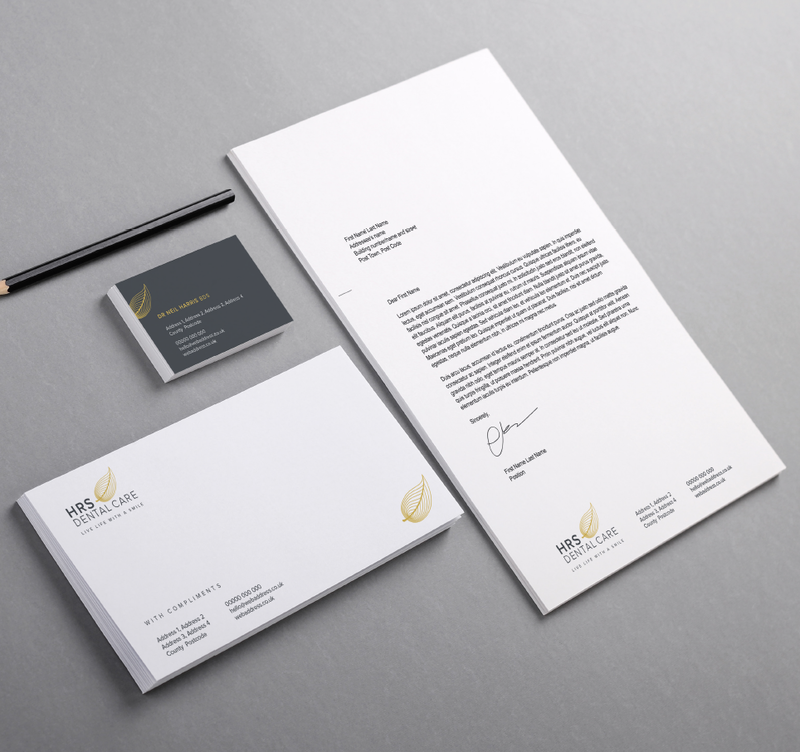 Your stationery can have a major influence about how you're perceived by both patients and business partners. 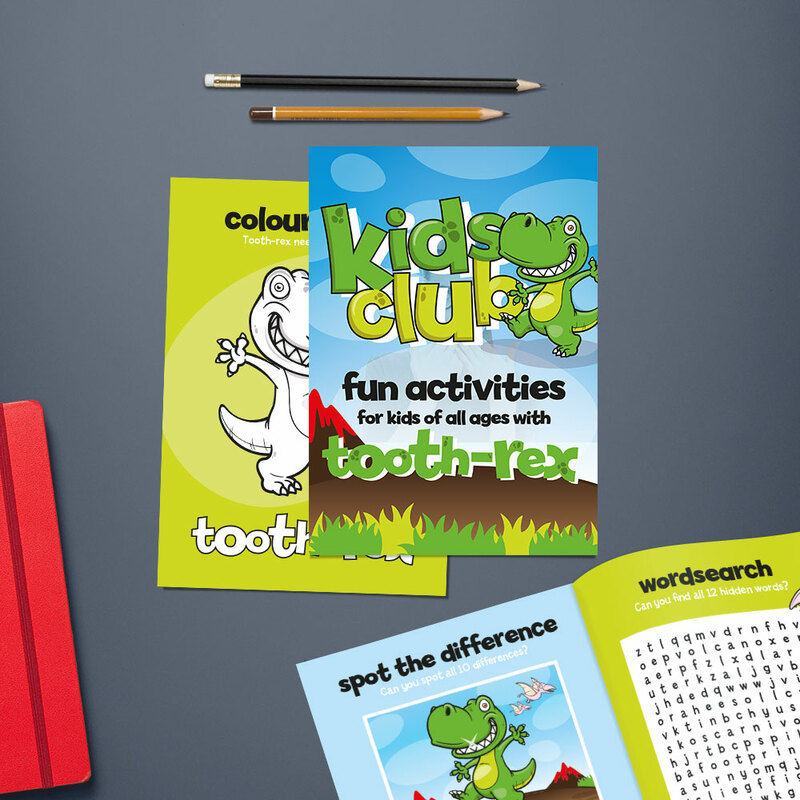 Whether you're looking for an entirely new design or simply looking for the right material to print on, we have a range of packages to help you. The beauty of having great photography is that it lends itself to almost all forms of communication you carry out. You'll be able to use the same professional imagery on your website, social media, posters, leaflets and anything else you may think of. If you come to us to photograph your products or services not only will you benefit from using the latest equipment but also utilise the skills and experience of a professional photographer. Get in touch today to find out more. WeKnow | Dental is part of Foundation & Co - providing marketing services to leading brands for over 25 years.